UltraTax CS is a full-fledged suite of accounting and tax functions for tax professionals which offers them a hassle-free accounting experience. The different features and functions help the tax preparers to file taxes seamlessly. It enables automation of the whole business or that of an individual tax flow. 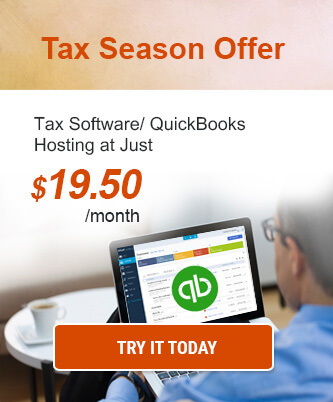 It also offers powerful and time-saving tax tools. Despite having great features, the UltraTax CS software, when hosted on the local system, has its own disadvantages. Lack of scalability, scarcity of easy accessibility and difficult user collaboration are some of them. Here is where cloud technology comes into play. More and more people are adopting cloud technology every year. According to Forbes, 83% of the business enterprises will be in the cloud by the year 2020. UltraTax CS on the cloud is a complete package a company needs to grow and make their tax process more efficient and productive. 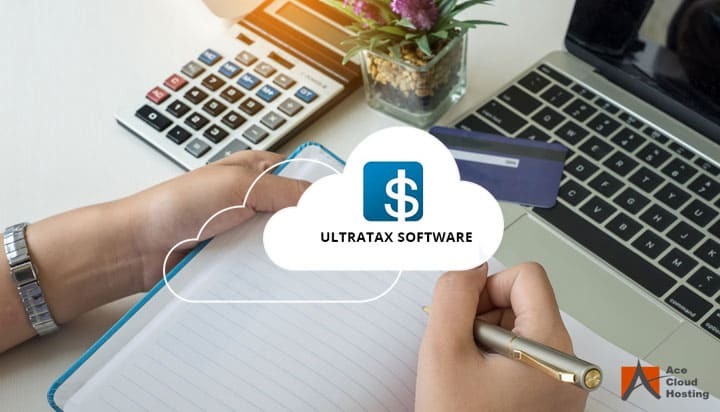 When UltraTax CS integrates with the cloud technology, the result is a secure, scalable and mobile UltraTax software, which fulfills all the needs of a tax preparer. Let us see how cloud eliminates the limitations of the desktop version of UltraTax and is immensely beneficial for tax professionals. There are plenty of menial and unnecessary tasks like manual and duplicate data entries which take up a lot of time of the tax professional, and the focus of CPA gets distracted. However, with the hosted version of UltraTax, these daily tasks can be avoided as a single file can be updated in real-time without creating duplicate files. It helps in optimizing file management and streamlining the process. Tax preparers often struggle with the limited access to their UltraTax CS data when they are traveling as the data is stored on the local device. It decreases the productivity of the CPAs and makes collaboration difficult. However, with UltraTax CS hosting, the productivity of the tax professional is enhanced manifold as UltraTax CS data can be accessed from anywhere at any time with the use of portable devices such as smartphones, laptops, and tablets. The only thing that the tax preparer must do is to login with the use of a secure password, and they can access the data from anywhere be it a different state or an entirely different continent. The remote accessibility helps in reducing the mental stress of tax professionals and lets them keep track of their process constantly. The needs of the tax preparer keep on changing with the season. Whenever tax season is around, the demand for resources increases substantially. However, when the CPAs are using a local device, it becomes difficult for them to upgrade and downgrade the resources as per their needs which can become very expensive. Hosting UltraTax CS on the cloud offers scalability to the CPA which ensures them of flexibility to modify their resources as per their present and future needs without worrying about extra costs of hardware replacement. In today’s fast-paced world, CPAs and tax professionals look for ways to enhance their productivity. However, productivity takes a toll when the CPAs are not able to collaborate with their colleagues and clients in real-time because they are using local systems. It also consumes a lot of time and money. UltraTax CS Hosting on the cloud enables the CPAs and tax preparers to share their tax files outside the conventional means and collaborate over them in real-time. Multiple users can login to the cloud and have access to the files from anywhere in the world. All kinds of businesses, irrespective of the size, want to save and earn money and try to keep their expenditures to a minimum. However, the installation and maintenance of the IT infrastructure can have a significant impact on the expenses side of the balance sheet. Moreover, a team also has to be deployed to take care of the same leading to an increase in the workforce. Hosting UltraTax CS software saves those dollars for the CPA as there is no need for any installation of the software or maintenance of the local infrastructure. Everything from installation, maintenance as well as upgrades are taken care of by the cloud provider. The need for an in-house server and staff is eliminated. Hence, it saves a lot of money as there is no need for power, cooling, and administration for the same. 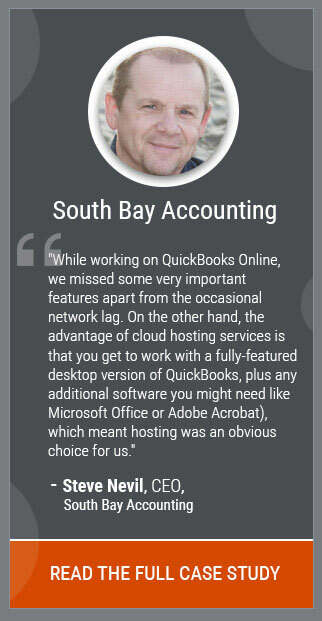 There has been a slow adoption of cloud technology in the accounting industry. It means that the firms who have adopted the hosted version of UltraTax CS software will always have a first mover strategic advantage over their competitors who have not yet embraced the technology. The benefits of UltraTax cloud hosting will ensure faster tax filing, all the forms available at just a click, and many others which enables the CPAs to become more productive and efficient. Further, accountants who often found themselves at the backfoot when competing with larger companies can now be on a level playing field as there is no longer a need to own massive data centers. A myth that is believed by many accountants is that cloud computing is complicated. However, what these accountants don’t know is that the cloud has fewer issues as compared to those of traditional methods and is far more beneficial for the CPAs and tax professionals based on how the cloud benefits the them. Further, it is the responsibility of the cloud provider to ensure a fully functional and hassle-free experience to the clients. Almost every cloud provider is always looking for ways to make the experience better and smoother and instantly gets on the job whenever there is an issue. On the other hand, if there is an issue in a local server, one will have to go through a hectic process for which tax professionals don’t have a lot of time to deal with. It usually ends in frustration. With the hosting of UltraTax CS hosting on the cloud, tax professionals and CPAs can prevent many problems and provide a lot of advantages to the company. With its numerous features, businesses of every size can grow financially as well as productively. With UltraTax CS on the cloud, the tax process can be accessed and handled from a remote location with the help of portable end-point devices. There is no need for a user to worry about hardware issues and the security of their UltraTax data as it is stored on remote cloud servers. The independent hardware software hosted on the cloud helps businesses to save their capital expenses. Also, as the cloud provider is responsible for the setup, installation, and maintenance of the software and the UltraTax data, the costs are also minimized. Sarthak Bhatia is a digital marketer at Ace Cloud Hosting who likes to read and write about cloud technology, VDI, and accounting. He is also passionate about Cricket and F1 and follows them closely. You can follow him on Twitter and LinkedIn.